In today’s episode find out why you should not crowd your body paragraphs on IELTS Writing Task 2. Find out how to keep your paragraphs clean and clear when it comes to this part of the exam. We see how you could be confused about this. The classic academic body paragraph organization is like a math formula. However, IELTS is not the same as academic writing. With IELTS there has to be just one main idea in each paragraph. Keep it simple for Writing Task 2. That could be your main idea. Then the examples will fall under that main idea. What are the advantages of having one world language? These examples don’t go deep enough so it’s better to stick with one reason and example and go deeper with the examples. In our course we take you through the process of developing this skill step by step. We don’t have time to teach you the whole process in today’s episode. If you feel that you are a good writer but you’re not getting the score you need then go back and listen to IELTS Energy Episode 283 for advice and tips. When you’re in our course and you have mastered these skills step by step you can start submitting your essays in the 3 Keys Writing Wizard contest where you put your essay in competition with essays from other students. After that you have a chance to upgrade to VIP and meet with Jessica for personalized help. 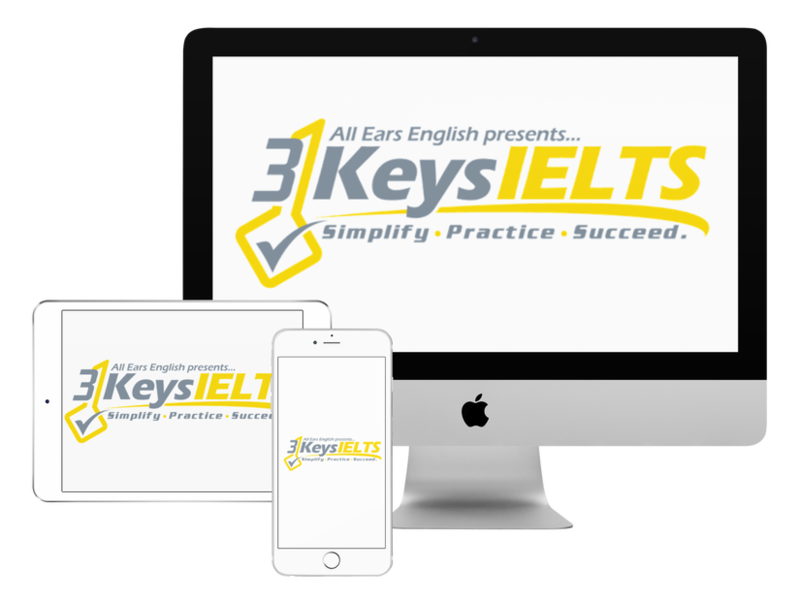 Follow this progression for the best possible score on the IELTS Writing test.